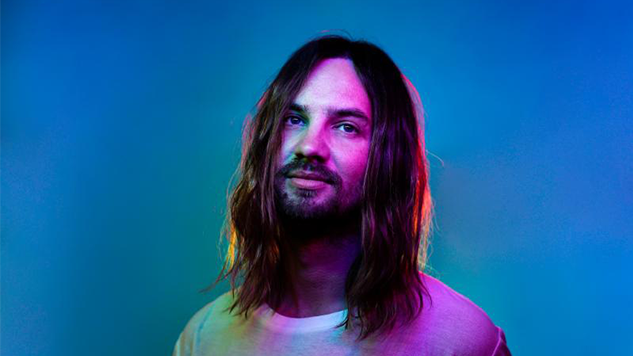 Tame Impala Fuse House and Disco on Shimmery New Single "Patience"
Kevin Parker, aka Tame Impala, has shared his new single “Patience,” the first music he’s released since his Grammy-nominated 2015 record Currents. Honestly, it feels like a fitting name considering how long we’ve been waiting for new tunes from the Perth, Australia, psych-rocker. “Patience” is a dance floor-ready combination of ‘70s disco and ‘90s house, punctuated by uplifting piano. A press release describes the new track as a “lyrical meditation on life’s cycles and phases that ascends to an overwhelmingly blissed out zenith, as our protagonist makes peace with the transience of time.” As contemplative as that description makes it sound, the single also simply delivers the carefree fun we’ve long associated with Tame Impala. This latest song precedes Parker’s SNL debut on March 30, with Sandra Oh hosting. He’s got a busy year ahead, as Tame Impala is headlining Coachella in April; Shaky Knees, Corona Capital, Boston Calling and Barcelona’s Primavera Festival in May; Glastonbury in June; and Lollapalooza in August. Listen to “Patience,” explore Tame Impala’s tour dates and check out the group’s 2010 Daytrotter session below. While we still don’t have a release date or title for their forthcoming record, explore everything else we know about it so far here.